Ehud Furman is a tech entrepreneur with interests in several internet companies. 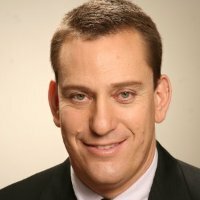 During the past few years Ehud founded Cyclicom, an online gaming affiliation business, LookupPage, an online directory for businesses and individuals and Veribo, an online reputation management service. Previously Ehud was the managing director of the European arm of shopping.com, the world's leading shopping search and shopping comparison company (NASDAQ: SHOP). Early in 2000 Ehud relocated with his family to the United Kingdom to start the Shopping.com (previously Dealtime) European operation, where he built and managed the company's operations in the UK, France and Germany. Under Ehud's leadership the company earned a leading position in the European web price comparison space, and it was nominated along with the company's US business as the world's leading shopping search engine (Nielsen net ratings, July 2005). Shopping.com was acquired by eBay Inc in August 2005 for $635M. Ehud played a key role throughout the acquisition and served as an ebay executive until December 2005. Prior to joining Shopping.com, Ehud served as a senior manager at the Ernst & Young management consulting firm. Ehud earned a B.Sc degree in Economics and Management from the Hebrew University of Jerusalem and he is also a graduate of the London Business School senior executive education program. Ehud's hobbies include spending time with his family, listening to music, swimming, skiing, and running.